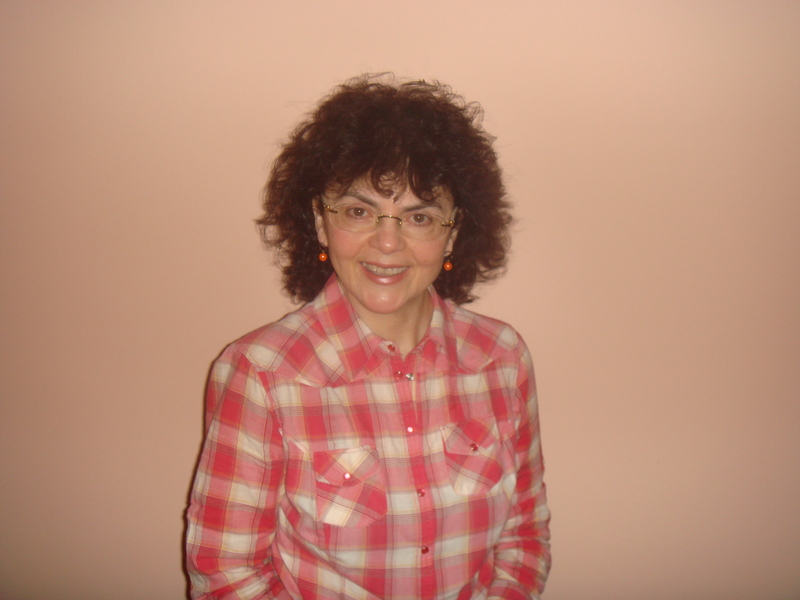 Mariella Graziano is the president of the Association of Physiotherapists in Parkinson’s disease Europe. She is currently serving her fifth term office as a member of the board of the European Parkinson’s Disease Association (EPDA). As a physiotherapist, she is experienced in the management of patients with Parkinson’s through all disease stages. A recent study published online in JAMA Neurology questioned the clinical effectiveness of physiotherapy and occupational therapy for people with mild-to-moderate Parkinson’s (1). The results of the study named the ‘PD REHAB trial’ showed no meaningful clinical improvement in activities of daily living (ADL) or quality of Life (QoL), when comparing the effect of combined physiotherapy and occupational therapy versus no therapy in a sample group of people (with a mean age of 70 years from 38 outpatient centres in the UK from October 2009 to June 2012). However, some leading academics and healthcare professionsals – myself included – have raised concerns with these findings and urge people with Parkinson’s and their practitioners to interpret them with caution. Over 15 months, half of the study participants were randomised to a standard therapy practice structured in a person-centered goal-directed therapy, and the other half to no therapy. Physiotherapy practice focused on Parkinson’s-related issues such as gait, posture, balance, physical conditioning, and transfers. Therapy sessions were one hour long and people received on average four sessions over eight weeks for both therapies combined. There were no differences at 3, 9, and 15 months between groups on the ADL or QoL measures, reported Dr Carl Clarke of the Sandwell and West Birmingham Hospitals National Health Service Trust in Birmingham, UK. Dr Clarke and his team concluded: “This evidence does not support the use of low-dose, goal-directed physiotherapy and occupational therapy in the early stages of Parkinson’s”. These results must be taken with caution by people living with Parkinson’s and professionals alike, however, given the existing level of evidence that these therapies have a positive impact on a patient’s general functioning and wellbeing. Moreover, substantial, though indirect, evidence shows that ongoing vigorous aerobic exercises may have a protective effect and consequently slow down Parkinson’s progression(2). In response to the results, Dr J Eric Ahlskog of the Mayo Clinic in Minnesota, US, pointed out that the outcome of this study “should be interpreted with attention to the study details.”(4) He said that the study didn’t focus on therapy for targeted problems, and that therapy should focus on specific problems that are likely to benefit”. Furthermore most participants in the PD REHAB study had mild-to-moderate Parkinson’s at randomisation, while the physiotherapy programme that was delivered is more commonly used for people in a moderate-to-late stage, when falls or near falls start to be a problem. The European Physiotherapy Guideline for Parkinson’s published in 2014(3) recommends that referrals to Parkinson’s-specific physiotherapy should start soon after diagnosis and be in accordance with stages on the Hoehn and Yahr scale (which highlights impairments and limitations as the condition progresses)(5). At an early stage, Parkinson’s-specific physiotherapy intervention focuses on self-management advice, education, participation on leisure programmes, and general fitness, where exercise plays a central role. A problem-specific, person-centered goal-directed programme is set according to the individual’s lifestyle, impairments, limitations and participation in society. At a moderate stage, people-specific physiotherapy problems are more related to impairments concerning physical capacity and activities, like walking, transferring, balance, manual activities or respiratory function. People may also require a pain management programme. In addition to ongoing education and self-management advice, physiotherapy intervention teaches movement strategies to compensate for the progressive difficulty in generating automatic movement. Use of external cues (auditory, tactile, visual and sensory) or internal cues (mental rehearsal and visualisation) are applied according to the person’s preference and strategy efficacy. At this stage, physiotherapy intervention also trains dual task activities, self-instruction and concentrates on improving attention span. It seems that the PD REHAB trial did not identify the fine tuning problem-specific impairments that are characteristic at an early stage of Parkinson’s. Problem-specific early referrals to a Parkinson’s-specific physiotherapist are essential for people with Parkinson’s. There is a vast amount of literature and, above all, clinical observations that reiterate Parkinson’s is not the same from person to person – every patient is different and the impact of physical and non-motor symptoms are not the same from one to the other. By the time a person hears the devastating sentence: “You have Parkinson’s disease”, he or she may already move slower than before, their steps may be shorter and the use of one hand may not be the same anymore. These impairments have an impact on the activities of daily life, which were not identified by the scales used to measure change in the PD Rehab study. However, these impairments are obvious to a physiotherapist with a trained eye and can be tackled on time to prevent physical changes and delay the effects. This is only achieved with a problem-specific referral. We should not underestimate the value of self-management advice and education. A person who knows what to do to manage his specific problems and the impact they have in their daily life, will save taxpayers’ money. Considering the increasing literature supporting the possible neuro-protective effect of vigorous regular aerobic exercises (2), in line with the European Physiotherapy Guideline for Parkinson’s,(3) which identifies exercise as one of the main interventions of Parkinson’s-specific physiotherapy, and in agreement with Ahlskog(4), the results of the PD REHAB trial, shouldn’t have an impact on the benefits of aerobic exercise in Parkinson’s, starting soon after diagnosis. What’s clear is that all referrals to physiotherapy need to be problem-specific and tailored according to disease stage in order to achieve full effectiveness. The PD REHAB study is thought provoking but it can be damaging if not taken with caution, as policymakers may interpret it as a reason to reduce funding, professionals may understand it as no need of an early referral, and – most critically – people with Parkinson’s and their families will lose precious time. We do not need to wait for more evidence to emerge to call for what people need today: problem-specific early referral to a Parkinson’s-specific physiotherapist. JAMA Neurology Source Reference: Clarke CE, et al “Physiotherapy and occupational therapy vs no therapy in mild-to-moderate parkinson disease: A randomised clinical trial” JAMA Neurol 2016; DOI: 10.1001/jamaneurol.2015.4452. Ahlskog JE. Does vigorous exercise have a neuro-protective effect in Parkinson disease? Neurology. 2011;77(3):288-294. JAMA Neurology Source Reference: Ahlskog JE “New and appropriate goals for Parkinson Disease physical therapy” JAMA Neurol. 2016; DOI: 10.1001/jamaneurol.2015.4449. 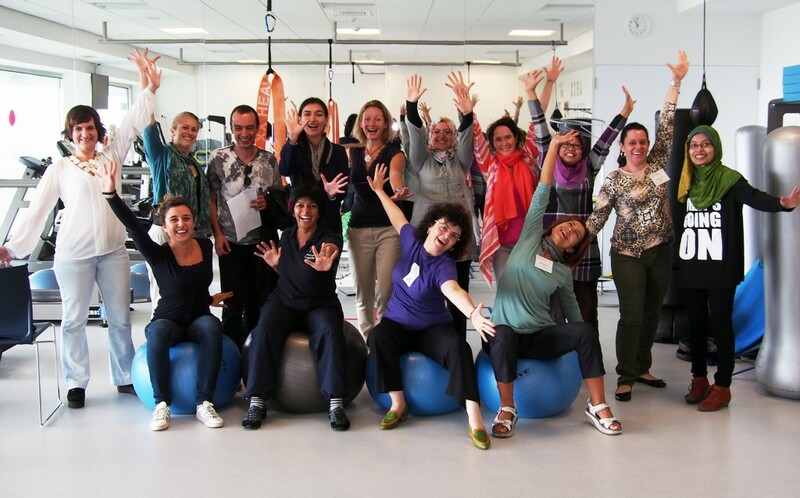 The APPDE mission is to support physiotherapy expertise in Parkinson’s disease. To facilitate individuals continuous professional development. To provide mentoring amongst peers. To support networking amongst individuals and like-minded associations. To promote research based physiotherapy tailored to the needs of PWP, their families and carers, and to nations’ health care systems. To enable the development of educational programs. Find out more about the APPDE either on their website, facebook page or twitter account.